Fixed-Limit Texas Holdem has been waning in popularity since poker exploded around the turn of the millennium. That being said, it was once the standard in casinos the world over, and to this day it is a very popular form of poker in both cash games and tournaments alike. For players used to the wild and crazy game of chicken that is no-limit holdem, fixed-limit holdem is a game of patience and calculated risk. The winner is the player who is the most consistent over time, the most calculating, the least susceptible to tilt, and the most attentive to his opponent’s tendencies. These tips are meant to be an introduction to the game of limit holdem for players familiar with no-limit holdem. Top 5 Tips for Fixed-Limit Holdem. There are several important differences between no-limit and fixed limit holdem. Because there is a limit on how much you can raise pre-flop, it is more difficult to push players out of the pot. For this reason you will often play multi-way pots post flop in a fixed limit game as opposed to no-limit holdem which is usually heads up post flop. Additionally, the bet sizes are fixed on the flop, turn, and river. This prevents you from easily forcing your opponents to make a real decision early in the hand. For this reason, play often continues all the way to a showdown. Playing very strong starting hands will allow you to exploit these characteristics of fixed-limit holdem. You will be favored over the opposition throughout the hand if you are more selective with your starting hands. Strong pairs, AK, AQ, and very strong suited connectors and suited broadway cards are good hands to start with. Open your range up slightly in late position and on the button. Since you cannot be forced out of the pot, and because pots are frequently played 3 and 4-handed, the value of a good draw goes up in limit holdem. You are usually being given favorable odds to draw to your open ended straight draw or flush draw. In fact, if you have an open ended straight draw and a flush draw, your hand is so powerful that you can play it as if it were a made hand. Especially in multi-way pots, push your hand for value and raise your opponents as if you had already made your draw. Learn to check-raise both for value and as a bluff. The timing of this play can be tricky, do you want to check-raise the flop, or wait for the turn or river. Another piece of the puzzle is learning who at the table will respect your show of strength and who is likely to play the Sherriff. 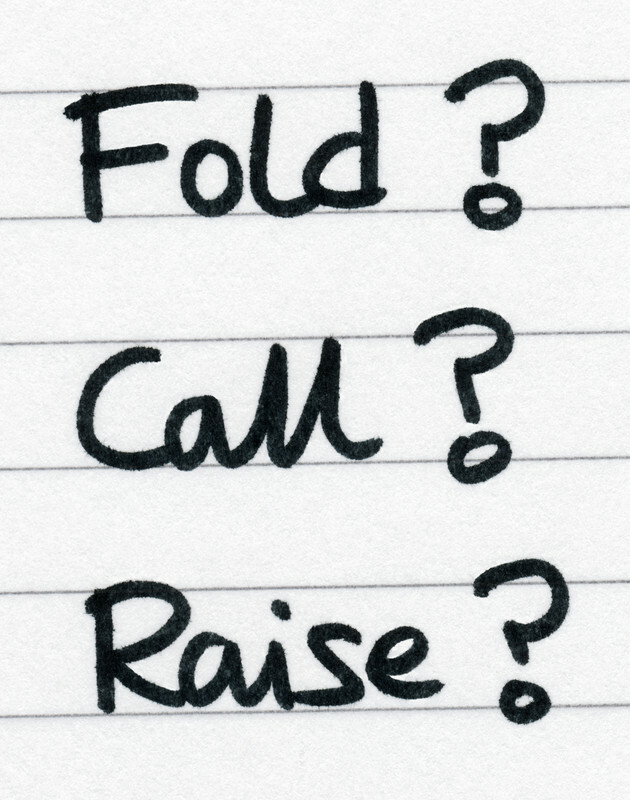 Check-raising is also a good way to try drive out players who may want to draw to the turn for a single bet. If you suspect the position player is likely to bet, you can check your made hand expecting the other players to check to the position player, who may bet and allow you to make it two bets to go. This extra money in the pot will make it difficult for the remaining players to play their draws profitably. Learning how not to chase weak flush draws and low straights, learning to fold medium strength hands when there is heavy action in front of you, and generally learning to save bets is a great way to improve your win rate in limit holdem. It can be very tempting to chase a weak draw planning to bluff if you miss your card. This might be a justifiable line of play in very specific circumstances or against a specific opponent. Generally speaking however, aggressive lines of play like the one described aren’t advisable in fixed limit holdem. On the other side of the coin, if you are value betting an overpair, and the worst possible card comes off on the river and you get raised, more often than not you should fold. Learn to save bets and you will make more money. Limit holdem is a grindy game that takes time to learn properly. You can always watch videos and read articles to learn about the game. Getting advice from other more experienced players on a poker forum website is another great way to improve your game. But ultimately, time in the hot seat is the only way to really improve your limit holdem game.